Employment outcomes for transition-age youth with autism spectrum disorder (TAY-ASD) following Vocational Rehabilitation (VR) services declined between 2002 and 2011; although a few states showed significant progress. 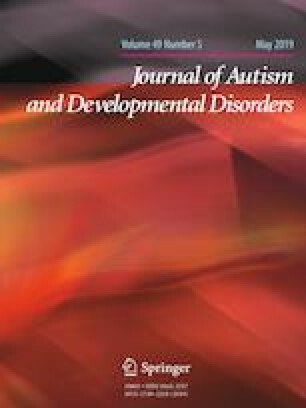 We examined inter-state variation in VR service use and outcomes among TAY-ASD in 2014–2016, finding significant differences in the percentage of TAY-ASD who received VR services, entered VR services during secondary school, had timely development of an employment plan, and were employed at VR exit. Inter-state differences remained significant after adjusting for the influence of individual-level demographics and state-level unemployment and fiscal capacity, suggesting other factors influence variation. Future research should monitor whether changes in the VR program, via the 2014 Workforce Innovation and Opportunity Act, move the needle on VR outcomes for TAY-ASD. A correction to this article is available online at https://doi.org/10.1007/s10803-019-03991-5. AR, JR, and PS contributed to the conceptualization of the study and initial drafting of the manuscript. JE completed the data analysis and table preparation. AR, JR, and PS reviewed the final manuscript, and AR completed revision and publication preparation. All authors approved the final manuscript. Ms. Roux, Ms. Rast, and Dr. Shattuck each declare that they have no conflicts of interest. This study was deemed exempt by the Drexel University Institutional Review Board. Not applicable. No data was collected, as this study was a secondary analysis. Bureau of Economic Analysis (2018). Real gross domestic product (GDP) of the United States in 2016, by state (in billion chained 2009 U.S. dollars). U.S. Department of Commerce. http://www.statista.com. Accessed 9 July 2018. Bureau of Labor Statistics (2018). Unemployment rates for states, 2016 annual averages. U.S. Department of Labor. http://www.bls.gov/lau/lastrk16.htm. Accessed 9 July 2018. Cao, L., & Yoon, A. (2017). Gross domestic product by state. U.S. Bureau of Economic Analysis. http://apps.bea.gov/scb/pdf/2017/06%20June/0617_gdp_by_state.pdf. Honeycutt, T., Thompkins, A., Bardos, M., & Stern, S. (2013). State differences in the vocational rehabilitation experiences of transition-age youth with disabilities. Princeton: Mathematica Policy Research. http://www.disabilitypolicyresearch.org//DRC/. Partnerships in Employment. (2014). Vocational rehabilitation: Observations from partnerships in employment state projects. http://www.partnershipsinemployment.com. Roux, A. M., Rast, J. E., Anderson, K. A., & Shattuck, P. T. (2016) National autism indicators report: Vocational rehabilitation. Philadelphia, PA: Life Course Outcomes Research Program, A.J. Drexel Autism Institute, Drexel University. Accessed at http://drexel.edu/autismoutcomes/publications-and-reports/publications/National-Autism-Indicators-Report-Vocational-Rehabilitation/. U.S. Department of Education. (2016b). ‘WIOA State Plan for the State of Michigan’ Office of Special Education and Rehabilitative Services. https://www2.ed.gov/about/offices/list/osers/rsa/wioa/state-plans/mi.pdf. U.S. Department of Education. (2017a). Vocational rehabilitation state grants. https://www2.ed.gov/programs/rsabvrs/index.html. Accessed 20 August 2018. U.S. Department of Education. (2018). Fiscal years 2017–2019. State tables for the U.S. Department of Education. https://www2.ed.gov/about/overview/budget/statetables/19stbystate.pdf. Accessed 8 October 2018. U.S. Department of Education. (2017b). ‘Workforce Innovation and Opportunity Act State Plans.’ Office of Special Education and Rehabilitative Services. https://www2.ed.gov/about/offices/list/osers/rsa/wioa/state-plans/index.html. Wight, V. R., Chau, M., Aratani, Y., Schwarz, S. W., & Thampi, K. (2010). A profile of disconnected young adults in 2010. New York, NY: National Center for Children in Poverty Mailman School of Public Health Columbia University. http://www.nccp.org/publications/pdf/text_979.pdf.